UPDATE 31/07/13 – last chance to vote today! You can vote online at labour.org.uk/Ballot2013 – and if you can’t find the email with your login details, search “electoral reform” in your inbox. The ballot is now underway to select Labour’s candidates for the 2014 European parliament selections. 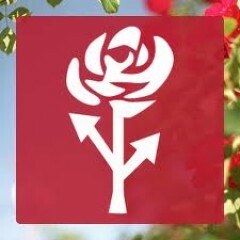 Under party rules which make a full re-selection process difficult, all of Labour’s sitting MEPs who are seeking re-election have been re-selected by a “trigger ballot” (sitting MEPs are not required to face the ballot box unless demanded by a large majority CLP meetings in their region). Yet Labour’s performance in 2009 – the last European elections – was pretty abysmal, and so we can expect to grow our MEPs in number by at least a few. Members have until 31 July to cast their votes either by post or online – some have already received an email with details of how to vote. Below, we’ve listed who activists on the Labour left and the trade unions are supporting in each region. The list is currently incomplete, and we’ll update as we hear from left-wing activists over the next couple of weeks. Feel free to contribute to the debate by commenting below. East Midlands: the CWU and some activists on the left are supporting Linda Woodings, for whom we recommend a first preference vote; there is also support from the left in the south of the region for Rory Palmer, so we would recommend a second preference for him. East of England: Since the first place must go to a woman, Alex Mayer, who was elected to the NPF last year as an independent, is perhaps the best candidiate for your first preference. However, Paul Bishop deserves at least a second preference. London: London Labour Left are supporting Lucy Anderson, trade union activist, CLGA-supported policy forum member, and former Camden councillor as first preference; and Kamaljeet Jandhu as second preference. North East: many on the left are supporting Judith Kirton-Darling as a first preference, who has worked with retiring MEP Stephen Hughes on providing better protection for agency workers. North West: The favourite seems to be Theresa Griffin who has support from the centre left as well as the right and trade unions (she works for Unison and is a member of Unite). However, she is not from the Left, and was backed last year by Progress for the NPF. Julie Ward, on the other hand, though less well known in the region, comes with stronger recommendations from left activists so she’s our recommendation for a first preference. South East: left activists and trade unionists are supporting Anneliese Dodds, lecturer, trade union rep, advice centre activist and founder of Universities for Labour. South West: left-wing activists and a majority of the trade unions are supporting Claire Moody, current policy forum member and trade union representative, and the only Labour police commissioner candidate in the South West to come second. Wales: Welsh Labour Grassroots are supporting Jayne Bryant, who says she will work with “trade unions to ensure that our Social Europe is protected and not diminished“. Yorkshire and the Humber: Asghar Khan, who is standing on a platform that is “unashamedly anti-austerity and pro-workers’ rights“, is the best-placed left candidate to take the top position. A postman and CWU activist, Asghar is also a councillor in Leeds. Unfortunately, we cannot offer any advice to voters in the West Midlands, nor in Scotland, although it seems unlikely that Labour will win a third seat there. Posted in: Activism, CLPD, Labour. Entering a war is easy, but exiting is painful. Didn’t we learn? Also check which candidates have signed the five pledges from Labour Friends of Palestine & the Middle East. See http://www.lfpme.org/news-p349. New names are being added to the list every day. How exactly is ‘left’ being defined? I’m on the left and so are most of the people I know and I’m voting for Kamaljeet number 1. Maggie Hughes spoke at my trade union conference. She is an actual working class person that you lot keep banging on about in the SE and she has union support. This reads like a piece written by someone who doesn’t actually know what’s going on. Are these people really the best the Labour left can do, I have nothing against any of them personally but the last thing the LP needs is more middle class professionals and apparatchiks. Lawyers, academics, special advisers, the parliamentary party is awash with them, whether at Westminister or in the EU and to put it bluntly they have a miserable record of failure. I find this all very dispiriting, middle class party members whether left or right seem unable to look for candidates beyond their own class. I can only conclude a subconscious class prejudice is at work. The West Midlands is not listed, is there no left candidate for that area?? I think in some regions (South East, South West, East, West Midlands, North East) there are 2 ballots: one for female candidates and one for male candidates. So in these areas you can’t vote Sarah Green as first preference and Paul Red as second pref but they will be your 2 first pref in the different ballots. Alex Mayer is neutral, but by no means “left” at all. Quite close to Progress, she worked with the dreadful regional staff there for some time. Something of a political gadfly, too. I may end up casting no vote at all in this ballot. Confusion the address on the Enverlope is different from the one on the ballott paper. Also dont vote till you see their CV’s. Just checked out Maggie Hughes’ website and couldn’t find any politics nor any leftwing endorsers. Which doesn’t mean she isn’t leftwing, but I couldn’t find any evidence. Maybe Organized Rage missed the postman, former factory worker and CWU shopfloor worker-turned full-timer? I agree there is not nearly enough diversity in their background, but let’s not ignore it when it does exist. I was surprised and flattered to find myself the Labour Left’s preferred candidate for the NW. I did not seek endorsement but it has become increasingly obvious as I have travelled around meeting members, that disillusionment within the party is at a high level. In response to Organized Rage I am not a middle class professional or apparatchik, etc. I am an ordinary woman who has grown exasperated with the lack of compassion in the world and the way in which our institutions are stuck. I spent my early life in Manchester under Thatcher and I cannot bear what is now happening to the world my children and their friends have to live in. I deal with the distressing effects of poverty, exacerbated by ideological austerity measures, on a daily basis. Whilst my friends in places like Ukraine, Moldova, Turkey, Brazil, etc., are fighting for their land, their freedom, basic rights, and are threatened by violence. I feel so angry that I decided to do something – I applied to be an MEP! I am really a writer and a theatre maker. I work primarily with the most marginalised communities – always have done. I have found great solidarity with comrades around the world and I wanted to find it here. I became a regional organiser for One Billion Rising and then I was invited at short notice to run for MEP. I am still working it all out but I am a principled ethical person who will fight for fairness for everyone and not be silenced or bought or sold to prop up vested interests, etc. And Patrick – members should definitely make informed choices by reading the CVs and finding out more about the candidates before voting. Some of these candidates are very weak I’m afraid. e.g. the right and parts of the left (including the unions) are backing Theresa Griffin and Afzal Khan in the North West. No offence to her but if you don’t want either of those to top the list (behind Arlene McCarthy of course) then Julie Ward isn’t the answer – she’s not got a cat in hell’s chance of beating them. Well if this is the left and Miliband is classed as being to the left after today god help us all. Not sure I care much either way, lets get a vote on the EU….